Oaksterdam University Reviews: Is Oaksertdam University Legit? Just as the cannabis industry as a whole is exploding, so too are marijuana training programs. There are a hundred and one different cannabis certificates, some more legitimate than others. Oaksterdam is not like the rest, as they’ve built their name in a brick and mortar location in Oakland California. Since 2007, they have been setting students up for a successful career in cannabis. Still, before you sign up, you need to research Oaksterdam University reviews from publications you trust. Keep reading to see if Oaksterdam is the school you should trust your dreams too. 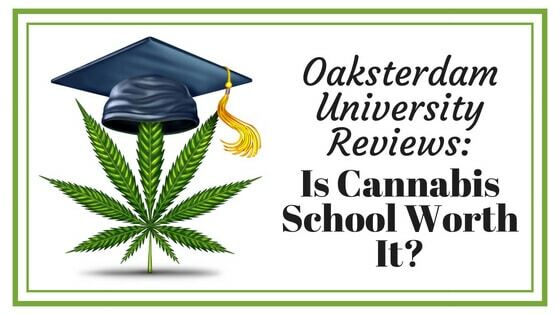 Oaksterdam University Reviews: What Sets Them Apart from other Cannabis Training Programs? What quickly becomes apparent as you browse their websites and course offerings, is that anyone can technically call themselves a university. Many online universities marketing cannabis education programs are affordable, but not valuable. It's immediately apparent that Oaksterdam University isn’t trying to make a quick buck off gullible students. They have established themselves as a leader in marijuana education long ago, with some of the most notable names in the industry in their faculty. They are a name you can proudly put at the top of your resume. Is Oaksterdam Just Like Any Other University? At Oaksterdam the course choices are a little more flexible than your standard four-year degree program. The semesters are 14 weeks long and account for 35 credit hours when all is said and done. The seminars vary in length, from two to four days, and can count for upwards of 26 credit hours. There is also no set-annual semesters, like you may have experienced at a traditional university. Courses and seminars are offered all year round and make it easier to fit into a busy schedule. Breaking Down the Classic Semester, What Will You Learn? Over the course of 14 weeks, the Classic Semester covers the marijuana industry at large. This cannabis business and the industry-focused program takes you over everything from the science and economics of cannabis to the current legislation to patient relations. Whether you plan on opening a dispensary, working as a budtender, or simply are curious about your rights in the industry, the Classic Semester doesn’t shy away from any of the hard-hitting subjects. Your instructors have been working in the industry for decades, and they bring that experience into the classroom. The Classics Semester has over 28 classes to choose from and is a perfect way to network with others in the industry. Breaking Down the Horticulture Semester, What Will You Learn? If you’ve ever wanted to get serious about growing cannabis, the Horticulture Semester is an in-depth guide to indoor and outdoor growing techniques. 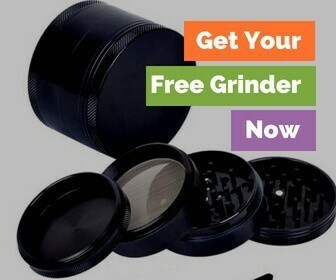 Through slides, lectures, question and answer periods, and hands-on opportunities, you’ll get a full understanding of growing marijuana from seed to sale. The Horticulture Semester also provides valuable information to students about the current state of legislation around growing marijuana. What really sets this program apart from many of the online universities, is its hands-on cannabis grow facility through which students get real-life practice growing cannabis. Full semesters aren’t the only option at Oaksterdam. For the busy professional who can’t commit to the full 14 weeks, they also offer frequent seminars built around the same topics. The seminars are a condensed look at all of the same topics covered in both the Classic and Horticulture Semester programs but are compressed into courses of two to four days. It’s a perfect taste of what the university has to offer, or a refresher for the busy entrepreneur. How Much Does an Oaksterdam Certification Cost? An Oaksterdam University certificate is worth something on your resume at the end of the day. It’s an extremely valuable, hands-on, educational experience, one which you can’t get through an online college. Because of the hands-on approach to learning, delivered in-person at their Oakland campus, the tuition is slightly higher than what you might find through less professional companies online. The Classic Semester is $1295 for 14 weeks of learning, and the Horticulture Semester is $1595. But who are you going to trust with your education? An established cannabis-focused university with a long history in California, or an online certification company, who is essentially selling certificates to the lowest bidder? There is absolutely no fee to apply to Oaksterdam, and their courses are available on a first come first served basis. Once you’ve had a chance to browse through their online schedule for available courses, and enrolled, make a secure online payment to hold your place. Oaksterdam accepts California state residents, out of state residents, as well as international students. They’ve had students from 30 countries around the world thus far. All students must have a valid government issued photo ID and must be at least 18 years old. Does a Certificate from Oaksterdam Get You a Job? Only you are responsible for getting a job after you’ve completed your coursework and the final exams, but with that said, Oaksterdam sets you up for success. They offer internship and work placement opportunities across the industry, which are crucial ways to get your foot in the door. 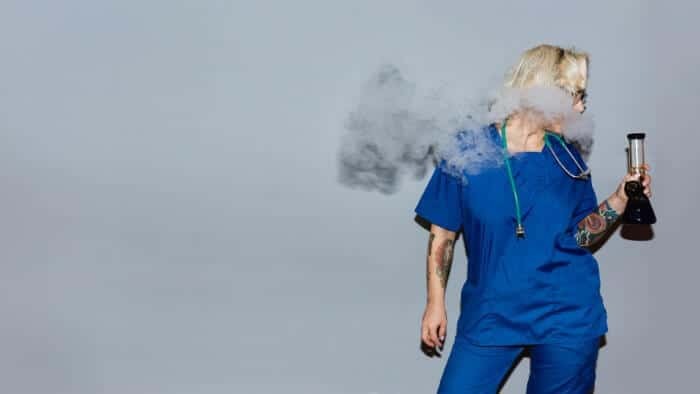 This is one of the only universities offering internships and work placements for their graduates in the cannabis industry. You’ll also have a chance to meet big names in the industry, as well as all the networking opportunities with your peers. You never know who you will meet in an Oaksterdam classroom. Part of the reason why Oaksterdam is well known and respected in the industry is that they were pushing for marijuana reforms for over a decade. What other university can claim they helped write Prop 215 & Senate Bill 420? Their staff and faculty have been pushing for legal access to cannabis for over two decades. As all universities should, Oaksterdam also encourages their students and graduates to continue to fight for cannabis legislation. They even founded the Office of Government Relations and Public Affairs to address the lingering issues in federal law about marijuana. What Exactly Does the Office of Government Relations and Public Affairs Do? Faculty and staff of Oaksterdam, as part of the Office of Government Relations and Public Affairs, work with organizations across the country and around the world to improve cannabis law. From medical centers to nonprofits supporting patients with cancer and other chronic illness, to international governments, Oaksterdam seeks to over resources to those who need them. It says something when professionals like lawyers, physicians, and politicians turn to them for advice on cannabis policy. No other cannabis campus can claim to have such influence over the industry at large. Oaksterdam is a place for serious study, not for your one-stop quick-certificate on smoking weed. Oaksterdam was built for students with a sincere desire to explore cannabis. Full tuition is required before enrollment is confirmed, and you’ll need to dedicate a full 14 weeks of your life to learning about all things cannabis. For anyone looking for a quick ticket into the cannabis industry, Oaksterdam is likely not the program for you. Oaksterdam provides professional, detailed, and hands-on education to their students. It's important that students enter into the programs knowing what they are signed up for. You can trust most of the Oaksterdam University Reviews you find online. The school was built with the cannabis industry in mind and is here to stay for a long time. If you want to be a leader in the field, it's a degree that you want on your resume. Have you attended Oaksterdam University? It would be awesome if you would share your experience with them for our readers in the comments!